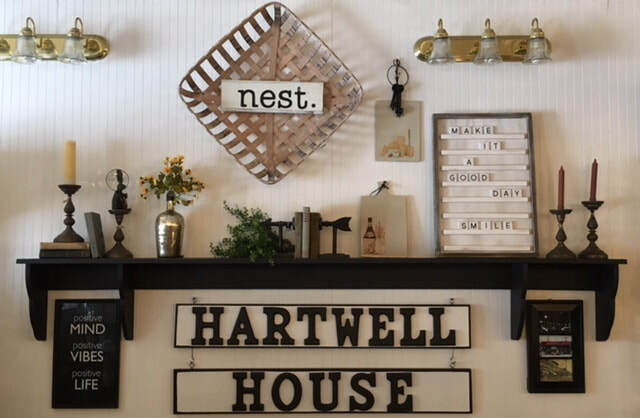 ﻿ Named after the Hartwell Mining Company, from the early 1900's, Bobbie Karr opened Hartwell House in the same historic building in 1995. She combined a love of antiques and crafts. Hartwell House is located in the historic town of Pomeroy, Ohio, a town established in 1841 by the businessman Samuel Wyllis Pomeroy. When you look out the door at Hartwell House, you have an amazing view of the Ohio River. We often joke with our customers that you have to look 3 times; high, low, and in-between! There is always something new and exciting to see at Hartwell House. We carry a variety of things, such as: Primitives by Kathy, Candleberry, Waxing Poetic, Fenton beads, Lenny & Eva, beach decor, primitive and americana decor, and a dozen more jewelry lines! Our biggest seller is Trollbeads. We have the largest selection in Southeastern Ohio.